We are getting ready to start production on the t-shirts. T-Shirts are going to be printed in Royal Blue with White Graphic similar to the mock up shown above at the top. 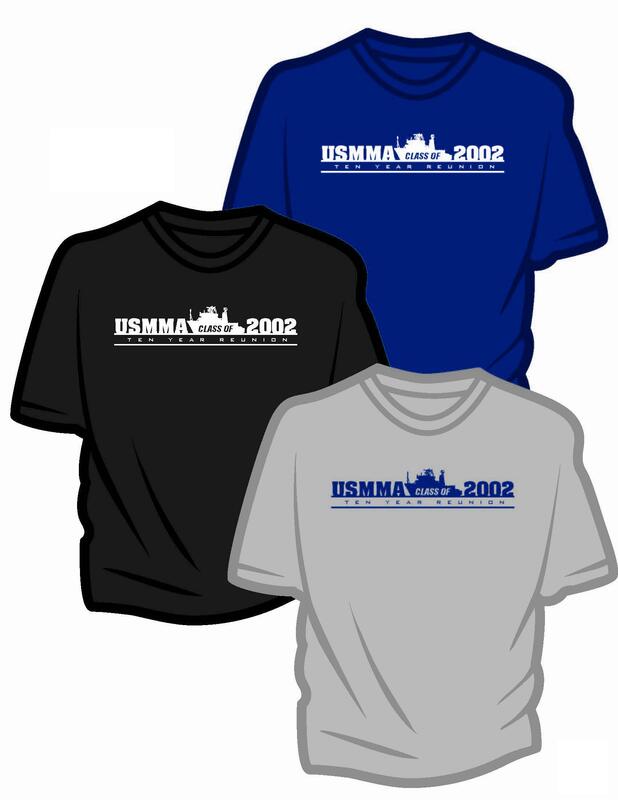 A T-shirt will be included in the full reunion package for each attendee. Extra T-shirts are available to order for $10 each. These will be delivered to homecoming for those wishing to pick them up there, or we can ship them to you for 3 dollars. As our order has been made, extra shirts are now available in Medium, Large, and XL only. Long Sleeve T-Shirts will be printed with the order. They are extra, and are for sale for $15, shipping is 3 dollars. We can also make sweatshirts to order. They will also be printed the same time as the T-shirts, they are for sale for $25 each. Shipping is 5 dollars. Our order has been placed, Long Sleeve T’s and Sweatshirts are no longer available for purchase. After you place your order I will email you to get your size information. If you prefer to pick your order up at homecoming, we’ll refund the shipping fee. Please place all orders before Friday Sept. 7th, so we can make one large order prior to homecoming.